Remember when you first watched 1994’s Street Fighter, starring JCVD and the saintly Raul Julia, and couldn’t quite understand why the characters had little to no correlation to their video game counterparts? Yeah, I do. The only thing that washed away that childhood-murdering taste was watching the far superior Street Fighter II: The Animated Movie (although, I do hate-watch Street Fighter whenever it’s on e.t.v, because nostalgia is a sick puppy). 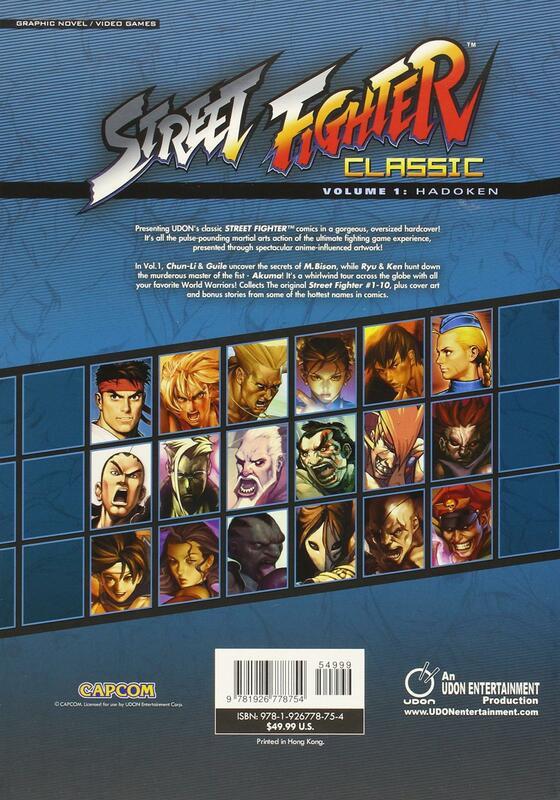 The good news is that Street Fighter Classic Volume 1: Hadoken captures the true essence of the game and the animated film, and ignores the JCVD film like the redheaded stepchild it is. This collection is the quintessential companion for any fan of the game, unlocking the rich storylines and diverse characters of this beloved franchise that might not always be fully explored in the video game series. 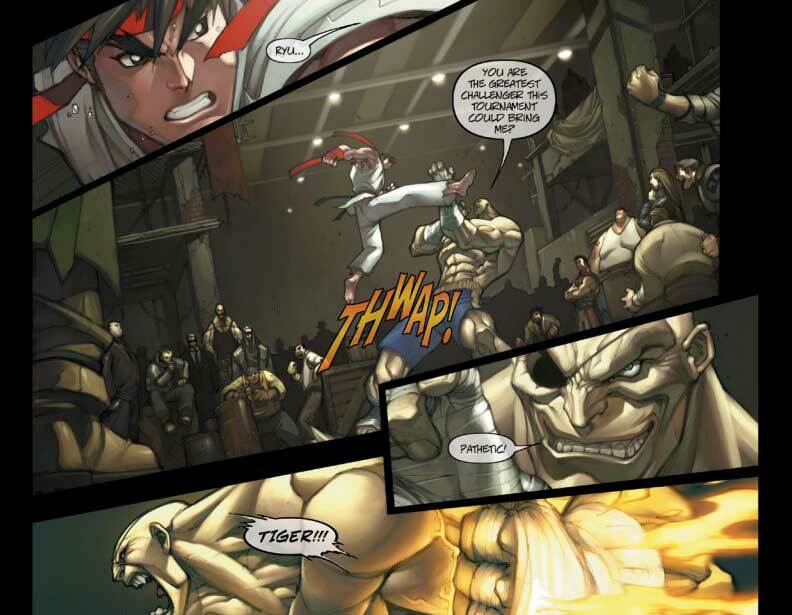 Focusing heavily on Ryu, Ken, Guile and Chun-li – following the events after the first tournament where Ryu defeated Sagat – there’s an emphasis on exploring the characters’ pasts and setting the tone for future battles. Don’t get me wrong; there are plenty of hadokens and sonic booms, but there’s also enough meat behind it so that it doesn’t turn into 300-pages of UFC. If you watched Assassin’s Fist, you might already be familiar with Ryu and Ken’s history; however, it was refreshing to see Guile and Charlie’s bond being deconstructed, as well as understanding Chun-li’s motivations better. 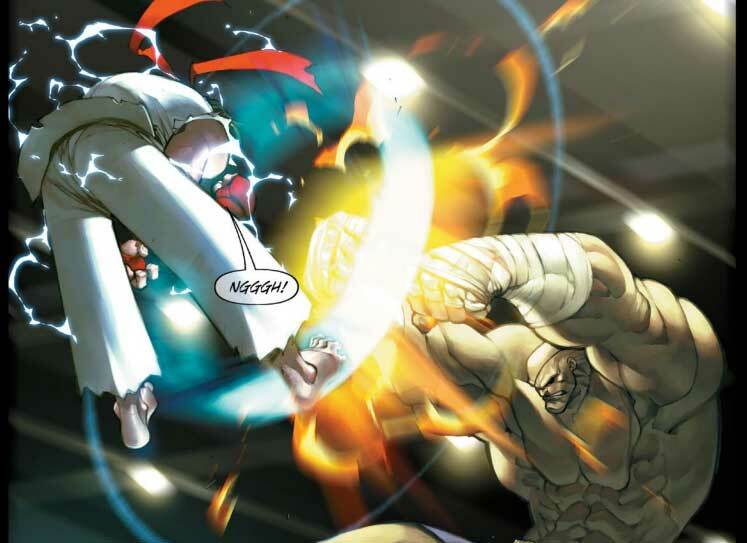 Staying true to the manga style and artwork of the video game, SFCV1 is gorgeous to behold and ingest as the Street Fighter universe comes to life on each page. The characters look exactly the same as they do in the games, as do the recognisable backgrounds. The array of colours is a nice substitute to the current sombre, grey world of comics (we blame you and your depressing filters, Zack Snyder).